Readers- On this page, I list some recommended advisory firms on which I have done some preliminary vetting. Prior to November 2015, this vetting was a review of their website, their ADV2, and a few emailed questions to clarify how they did business. Beginning in November 2015, I require an application (see bottom of the page) that you can review to help you decide who to hire. The application also helps me to standardize the approval process. You should be aware that although there are many good advisors and good firms, I have yet to find a perfect advisor and deciding who can and cannot be listed here is one of the most difficult things I do on this website. I have turned down a number of advisors that I consider well above average. You should also be aware that all of the businesses listed on this page are paid advertisers on this site. That means that they not only have to pass my vetting process, but they also have to pay to be listed here. I charge a fee for two reasons- # 1 The vetting process takes time and energy and only about 1 out of 4 that I go through the trouble to vet actually ends up listed here and # 2, this page of the site, like the entire rest of the site, is a for-profit business. If you want to start a website where you vet and list recommended financial advisors for free, be my guest. You can create and self-manage an all index fund portfolio that has fees as low as 0.1%. It’s going to cost more money if you want advice and management. A decent adviser will spend hours talking with you one-on-one to find the right asset allocation for your needs, then implement and manage that portfolio by taking full legal responsibility as a fiduciary, and then be available to answer all your questions and concerns whenever you call. This personal service takes a lot of time and you have to pay for that time. At least the price for advice and management has come way down ~ for some advisers. Some readers have asked me what is the best way to choose an advisor from this list. Rest assured that there are no bad choices here. All of the advisors listed here give good advice at a fair price. However, financial planning and investment management is a lot “squishier” than a more simple one-time transaction such as purchasing an insurance policy, refinancing your student loans, getting a mortgage, or having a contract reviewed. Although some of the advisors here will do a one-time second opinion or cover some limited questions for a one time fee or at an hourly rate, most are far more interested in a long-term relationship helping you to reach your financial goals. As such, a good fit between you and the advisor is essential. I recommend you read through the paragraphs below and pick a handful that seem to be offering what you are looking for. Spend a few minutes on each of their websites and read through their linked application if available. If what you are reading sounds good to you, shoot them an email or call them up and schedule a time to meet with them in person or virtually (as all the advisors on this page will take any client in any state.) If you have a particularly good or bad experience, I would love to hear and incorporate your feedback on to this page. Johanna Fox Turner, CPA, CFP®, RLP® Johanna is the founder of Fox & Co. CPAs and Fox & Co. Wealth Management. Both firms use a flat fee structure for year-round planning, investment management, and tax services for physicians and dentists. 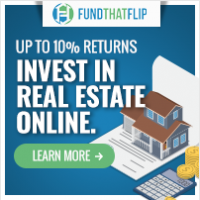 90% of our business is virtual and you can be 100% certain you’re working with a fiduciary. Johanna has 36 years of experience advising business and HNW clients on wealth protection and holistic financial planning, including tax strategies, estate planning, business operations and succession planning. For experienced, coordinated advice under one roof, schedule a free consultation with FWM’s team here. Utilizing low cost ETFs and Dimensional Funds. Comprehensive financial planning subscription starting at $2,500 per year paid monthly. Includes both Financial Planning and Investment management for those clients with $1M or more in investable assets. Located in Cincinnati, Ohio. We serve clients all over the United States including both practicing and retired doctors. We also serve U.S. citizens who live internationally. My practice focuses specifically on helping Kaiser Permanente Physicians, and their families navigate Kaiser Permanente’s complex benefits packages to help grow their wealth and maintain their lifestyle over the long term. Kaiser Permanente clients receive Comprehensive Financial Planning (retirement planning, estate planning guidance, investment advice, etc.) for one-set fee of 0.5%-0.75%, depending on how assets are held annually. Fees are assessed on Assets Under Advisement. We also offer an annual retainer to KP associates for a flat fee of $1,200 per year, for the 3 years they’re associates and the first two years they are a partner. There is also a one-time $800 Financial Planning fee, though you will get a complete written financial plan annually. While our offices are in Culver City, CA, to save my clients valuable time, I meet with nearly every client at their office, medical center, or in the comfort of their own home. I am available to work with Kaiser Permanente Physicians in any region, nationwide. Offices in Westchester, Manhattan, and Long Island, NY. I work with clients virtually throughout the United States. Available to meet all Greater NYC area clients in person. Make the determination of traveling to clients outside the Greater NYC area on a case-by-case basis. 1% per year on the first $1 million that we manage for you, with the caveat that our minimum annual fee is $5000 and the maximum fee we will charge on assets under $1 million is $7500 per year. Then .5% per year on the next $1 million that we manage for you. Then .25% per year on assets over $2 million that we manage for you. Located in Florida, Washington DC, and New York City. We work with families nationwide. Dr. Steve Podnos understands the needs of physicians, as he practiced full time pulmonary/critical care medicine for over twenty-five years and continues to practice as a member of the US Air Force Reserve. His firm, Wealth Care LLC, has locations in Florida, Washington DC, and New York, but works with physicians nationwide. We work with our clients on a long-term basis providing highly personalized fiduciary fee-only financial planning and investment management. We have two TrueNorth Wealth offices in Utah, located in Salt Lake City and Logan. We also have an office in Boise, Idaho, doing business as Idaho Medical Association Financial Services but we work with clients across the country. At TrueNorth Wealth, integrity and our commitment to our clients come first. We stay true to our clients’ direction and wealth—not ours. We pride ourselves in being a fee-only firm and a fiduciary on every relationship. We advise on our clients’ entire financial picture – true comprehensive planning. By coordinating investment, retirement, estate, tax, insurance, and small business planning, we ensure every financial aspect of your life works in synchrony to your best interest. Regular reviews of financial plans allow us to foresee potential problems, give advice based on the current economic climate, and plan for any major life changes. *includes tax preparation in most circumstances. H. Jude Boudreaux, CFP® and the 13 CFPs at The Planning Center believe in helping clients balance their life through the financial planning process. We try to find the balance of wealth and life, so you can build for your future while living a life you enjoy now. Our pricing structure allows the firm to work with residents and physicians with a focus on financial life planning, cash flow, debt management (including PSLF planning) and a constant focus on helping clients build their lives and not just their portfolios. Jude’s daughter was diagnosed with Leukemia (Pre-B ALL) before her 2nd birthday and that experience has influenced their love of working with those in the medical community. (She is now nearly 4 years off treatment and doing great). Jude is based in New Orleans but also has the ability to work with clients around the country on virtual basis utilizing a flat annual fee based on income and net worth, payable monthly for cash flow flexibility. 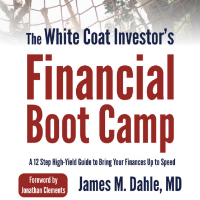 When my wife was in residency, I witnessed how vulnerable she was to poor financial advice. I was shocked at how many advisors tried to take advantage of her and her peers. 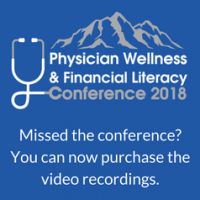 It’s the reason I started my fee-only practice, Physician Wealth Services, to work exclusively with physicians who could truly benefit from unbiased, quality financial advice. 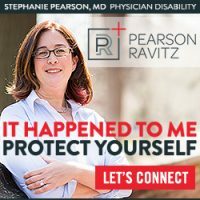 I help physicians create a life they love using the resources they have. To help them feel in control of their money, the same way that you make a patient feel better about their health. Also, I host the Financial Residency podcast, a free resource to help increase your financial literacy. Come join the community! 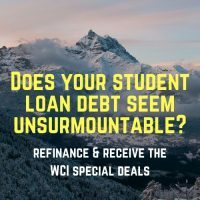 Here is the podcast interview I did with WCI in September 2018. Consult Fee: One-time financial planning fee or financial checkup of $1,500 ($1,000 for medical students/residents/fellows, this fee is waived for clients). We work virtually with clients across the country. Comprehensive Financial Plan – Includes two meetings, focusing on cash flow management and contingency planning and investments. Aptus provides detailed to-do lists, guidance and support. At the end of the process, the client receives a written report that serves as a blueprint to achieve financial independence. Financial Review for Long-term DIYers – Second set of eyes on your cash flow management, contingency planning and investment strategy. This includes a 1-hour meeting as well as planning work before and after the meeting. AptusCare – Ongoing planning support service includes ongoing dialogue and periodic check-ups to make sure you remain on track to achieve your financial goals. Aptus Financial specializes in helping do-it-yourself investors by providing financial planning and ongoing support services for low, flat fees. It doesn’t sell any financial products and doesn’t manage assets for a percentage fee, so is able to give transparent, objective, and non-conflicted advice. Its planners are educated, experienced and credentialed. Aptus has designed hundreds of financial plans for both residents and attendings and is well-versed in student loan repayment strategies, including evaluating refinancing alternatives, pursuing public student loan forgiveness and balancing debt paydown versus investing. I have had nothing but good feedback about them from readers. For clients that would like to learn more about Aptus, see if there’s a good fit and discuss next steps, it conducts free introductory calls. Prospective clients should request to chat with Aptus by submitting its contact form. Personal CFO Service – this is a combination of Financial Planning and Investment Management. We come alongside our clients in an advisory/consultative role to help them define their goals and then create a personalized plan designed to meet those goals. We only offer this as an ongoing, comprehensive wealth management service because we believe that gives our clients the highest probability of actually meeting their goals. We believe that the primary determinant of our client’s long-term investment returns (and therefore the success of their plans) is their own behavior. 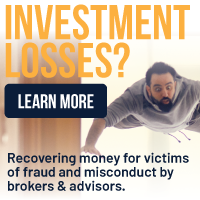 We help our clients manage the way they respond to periods of market euphoria and despair so they can avoid costly mistakes that most investors make. Philadelphia, PA. We work virtually with clients all over the US who are a fit for our services. Bobby Cremins, CFA®, CFP®, CKA® founded Metanoia Financial to help individuals and families create and implement a plan to reach their financial goals and achieve financial peace. We do this by developing long term relationships with our clients and walking with them throughout their lives to help them make wise decisions. We follow common sense, academic research, and timeless Biblical principles in advising our clients. Current flat-fee is capped at $15,000/year — Diagram for WealthKeel’s Flat-Fee Structure. WealthKeel One-Pager includes an overview of our planning process, service offerings, transparent pricing, and ongoing service calendar. 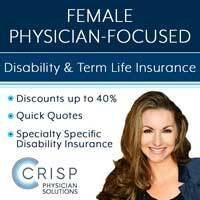 Located in Center City Philadelphia and working with physicians nationwide. Chad Chubb is a Certified Financial Planner™ and fiduciary for physicians and their families across the United States. He has been quoted by Medical Economics, American Medical Association, and CNBC for his work with physicians. He founded WealthKeel LLC to simplify and organize the financial lives of physicians by custom-crafting financial plans centered around their goals and values. The team at WealthKeel crafts simple, actionable financial plans for busy doctors who feel overwhelmed by the increasing complexity of the decisions they have to make with their money so they can free up time and energy to focus on their families, their work, and what they love most. Shearwater Capital is a fee-only investment advisory firm, which directly aligns our interests with your interests. We have a financial incentive for your account to grow as large as possible and to minimize your transaction costs, tax liabilities, and anything else that might hinder the growth of your account over time. The annual costs quoted above apply to the total value of all accounts that you have with Shearwater Capital. This is more favorable for you than a tiered or blended fee structure. Shearwater Capital is based in St. Louis, Missouri. We work with physicians and their families throughout the United States. Shearwater Capital was founded in 1999 by two physicians who were MBA classmates and faculty members at Washington University School of Medicine. Our vision is to take the best ideas from the world of academic finance and apply them in a practical manner to personal investing. We emphasize low costs and tax efficiency to maximize value for our physician clients. We begin by listening carefully to understand your financial situation and to design an optimal strategy for growing and protecting your assets tailored to your specific goals and aspirations. Investment portfolios are mainly structured using Dimensional funds. Taxable and tax-deferred accounts are carefully coordinated to ensure tax efficiency and appropriate diversification. Cincinnati, OH. We work with clients across the country. Cornerstone Financial Group has enjoyed seeing physicians transition from medical school to successful careers and on to retirement for over 30 years. Committed to detailed planning for every phase of your career and life, our team can help with things like structuring your debt repayment and protecting your earning potential, giving you ultimate flexibility in the early years of your career.You need an advisor that can be there with you every step of the way. We see too many young physicians that get blanket advice so they are not sure what to do with the significant wealth they are creating. Our passion is helping you think bigger and more strategically about how to leverage your wealth for maximum impact, way beyond just paying your bills or building a strong balance sheet. To schedule a free consultation with Wesley Botto, click here. Financial plan: Mayport starts by meeting with you to understand your goals then prepares a detailed plan to work toward those goals. Investment management: We develop an investment strategy for each of your accounts then manage your accounts according to this strategy. Retirement plan guidance: For your 401(k) or 403(b), Mayport will help you choose a set of funds that fits your plan and keeps your costs low. Financial consultation: If business or investment opportunities are presented to you, we can help you analyze them. And, Mayport is available to answer other financial questions that may come up. Web portal: To help you monitor progress toward your goals, Mayport’s web portal provides a consolidated view of your entire financial picture in one organized location. The fee for comprehensive wealth management normally ranges between $5,000 and $20,000 per year, based on the complexity of your needs. This usually results in a significant savings compared to traditional firms that charge 1% of your assets. The fee for financial planning and investment consulting is $275 per hour, with an initial three-hour minimum for new client relationships. Mayport is located in Boston, MA, very close to the hospitals. Mayport works with clients locally and across the country. We are located in Lexington, KY, and work with residents and physicians virtually throughout the country. Our team of 3 Financial Planners work alongside clients and continuously behind the scenes to make sure our client’s financial lives are healthy and on track. Jordan Clemons is a Financial Planner who works with our Resident clients to get them started off on the right foot financially. Your road to financial independence is a journey and the sooner you start the sooner you’ll get there. Student loans, insurance, home buying, you name it, he’s helped Resident’s figure it out. Your professional relationship with Jordan will start with organizing your financial life all in one place and revolve around creating and maintaining a comprehensive financial plan, which includes student loan analysis. You’ll identify goals and knock them out, one by one. As financial questions come your way Jordan will be in your corner looking out for your best interest. Daniel Wrenne is a Certified Financial Planner® for 100’s of physicians across the US. His average client is in their mid-30’s, has a young family and values work/life balance. Working with a very specific clientele has allowed Daniel to develop unique expertise. He founded Wrenne Financial Planning to escape industry conflicts of interest and better serve physician interests. The team at Wrenne Financial Planning will help you save time and sleep better at night knowing all your finances are in order and you’re on track for your ideal future. For anesthesia residents & fellows, flat-fee pricing starts at $99/mo, and the $299 setup fee is waived for WCI clients only. For attending anesthesiologists, flat-fee pricing includes a one-time setup fee of $999 and a recurring fee starting at $399/mo or $1,197/qtr. This is all-inclusive for comprehensive financial planning and investment management — no AUM fee. Total annual fee is calculated based on complexity using a sliding scale incorporating income (1%) + net worth (0.5%). 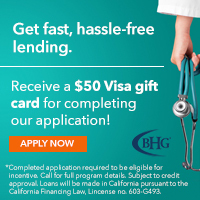 First-year attendings or residents/fellows may want to consider our $799 financial checkup, which is a compact financial-planning engagement that will address three modules of your choice, including: student loan analysis, new employer benefits optimization, disability insurance review, cash flow/budgeting review, or other desired areas of review. We serve clients in 35 states by leveraging technology to connect with clients wherever they are. We also travel to meet with clients in person. Since 1989, Foster Group has focused on delivering investment management, advanced financial planning, and retirement plan consulting services to physicians. We serve medical professionals who we hope appreciate our independent, fee-only, integrated approach to financial planning and investment management. Our financial advisors work with individuals, trust funds, retirement plans, nonprofit and for-profit organizations, and fiduciaries to preserve capital, grow assets, and manage marketplace risk. The Team at Foster Group is committed to helping you feel Truly Cared For™. 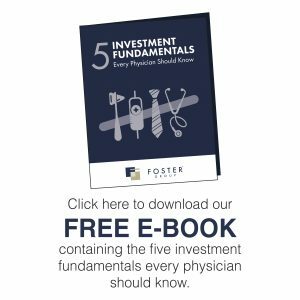 Click here for a complimentary second opinion today and/or download our free e-book containing the five investment fundamentals every physician should know. Three Oaks Capital charges for planning services based on the complexity of the project. Comprehensive financial plans start at $1,500, and offer a full guarantee if you’re dissatisfied with the service. Three Oaks Capital has office locations in both the Sacramento, CA and Portland, OR areas. We also consider ourselves a “tech forward” firm, and work remotely with clients across the country using videoconferencing tools. Three Oaks Capital offers complimentary initial consultations and a satisfaction guarantee on all financial plans. Read more about Three Oaks’ Confidence in Advanced Planning process at www.3oakscapital.com. I meet virtually with clients across the US and am available Monday and Tuesday nights until 8:00 PM PST. If you want an advisor who will help you find clarity about what is most important in your life, prioritize those elements, look at what could possibly get in the way, and then guide you to align your money with your life; we should chat. Once we know what a fulfilled life looks like to you, we will put our technical expertise, Chartered Financial Analyst & Certified Financial Planner, to work on your behalf. Feel free to schedule a time to chat here. 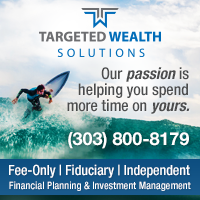 Targeted Wealth Solutions is an independent, fee-only financial planning and investment management firm founded by former US Air Force pilots. Our goal is to build the financial latitude in your life so that you can pursue your passions. As fighter pilots, we served alongside some of the best flight surgeons in the military. We saw how being in a demanding career with a large amount of peripheral responsibilities caused stress over the lack of time available to spend on professional and personal pursuits that really mattered to our flight surgeons. We started Targeted Wealth Solutions to shoulder financial and business planning burdens so that our clients could get back to doing the things they were most passionate about. Please feel free to contact us at (303)-800-8179 or [email protected] to schedule a complimentary consult. Metairie, LA (just outside of New Orleans) but we provide services to clients outside of Louisiana. Roughly 80% to 90% of our clients are from outside of Louisiana. 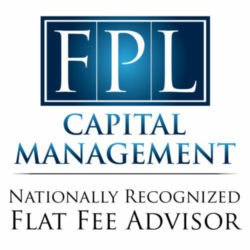 FPL Capital Management is a Fee-Only RIA that offers a unique fee structure, which is based on charging clients a flat annual fee for services provided. Fees range from $1,000 to $5,000 per year. FPL offers a broad range of management options, which includes both model and customized portfolios. Most strategies utilize low-cost funds from Vanguard, Dimensional (DFA), iShares, WisdomTree, and AQR. They have custodial relationships with Schwab, Fidelity, and TD Ameritrade. In addition to asset management, FPL offers an Institutional Platform that provides clients access to private debt and private equity funds. FPL also offers Wealth Management and ERISA Fiduciary services. They specialize in medical practices and their focus is on practices with fewer than 20 employees. They offer this service utilizing the DC Platforms of Vanguard, and DFA. E-mail or call them directly at 800-835-1969 for more details. Our only service is true wealth management – a coherent bundle of BOTH ongoing investment management AND ongoing financial planning. 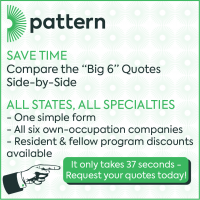 We charge $7,500 per year per relationship – no percentages, and no tiered pricing by assets! 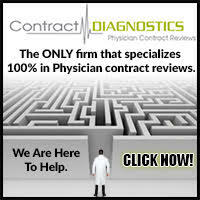 We have offices in MA and NH but we serve physicians virtually and nationwide. If you’ve got a portfolio of $2 to 8 million and are looking for an actual relationship with a fixed flat fee wealth manager, you should consider us. Physicians love our 100% truly flat fee because it removes the conflicts of interest inherent in the other models, and facilitates more wealth building. Our fee structure typically attracts folks with portfolios of $2 to 8 million. If that describes you, check us out. Our founder and lead advisor Bradley Clark, CFP holds his BA from Harvard and his MBA from Stanford, and was Publisher at The Motley Fool. We believe in evidence-based investing, and construct personalized tax-aware portfolios for physicians using Dimensional Fund Advisors. We give you the feeling of relaxed confidence about your finances, and give you back your most precious asset…your time. To learn more about our service for physicians, please watch our intro video and/or schedule a free consultation. Comprehensive Financial Planning fees – $2,500/quarter. As a mother, business owner and physician’s wife with 10 years of corporate and personal accounting experience, Anjali knows where you are coming from. She founded FIT Advisors to save her clients time and help guide them to making better financial decisions. FIT specializes in physicians who are independent contractors/partners and medical practice owners. She works with her clients to address all aspects their money touches – from understanding the added tax nuances of being a business owner, balancing business financials with personal cash flow and juggling all the moving parts in your financial life. Anjali believes in a more hands-on advising approach – we pull all the pieces together to provide you with our technical expertise and give you peace of mind. Anjali shares her experience and expertise with fresh voices in the industry on her semi-monthly podcast Money Checkup. Katie Brewer, CFP®, founded her fee-only firm, Your Richest Life Planning, in 2014 in order to focus on physicians and professionals under 50 who are juggling high-intensity careers while balancing the demands of a family. In order to most effectively utilize a client’s time, Katie conducts most business virtually. This framework allows the firm to work with clients all over the country while also minimizing financial planning costs. Katie has over 12 years of experience in the industry and has been quoted in various sources such as The New York Times, Forbes, and Business Insider. Litovsky Asset Management offers comprehensive retirement plan advisory and investment management services. We set up and manage small business retirement plans including 401(k) and Defined Benefit/Cash Balance plans for solo and group practices, and we serve in an ERISA 3(38) fiduciary capacity. 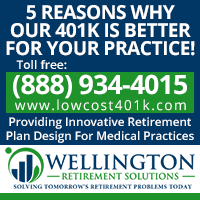 Our clients are almost exclusively doctors and dentists, and our retirement plan services are offered nationwide. We charge a flat/fixed fee rather than AUM fees and we use low-cost index and passively managed funds (including Vanguard and DFA) to build model portfolios with an average expense ratio of 0.15%. Retirement plan advisory fees range from $3,600 – $9,600 with discounts for multiple plans, and no fees are ever taken out of participant accounts. Konstantin Litovsky is the founder of Litovsky Asset management. As a fiduciary, Konstantin’s job is to make sure that your practice has the best plan cost effectively and that your plan is managed prudently so that your plan sponsor fiduciary liability is minimized. If you’re looking to set up a 401(k) or a Cash Balance plan for your practice, I highly recommend you contact Mr. Litovsky. Solari Financial is a comprehensive fee-only financial planning and investment management firm. Established in 2013 to bring objective advice to physicians accumulating and building wealth. The firm designs plans with clients that balance tax strategies & retirement planning with their personal lives. 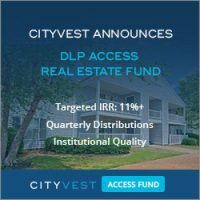 They incorporate DFA and Vanguard into their low fee portfolios. Michael Solari CFP® is the founder and has been quoted in publications such as The Boston Globe, Wall Street Journal and US News & World Report. Our Wealth management service combines initial and ongoing financial planning with investment management for one fee. We are located in northern-coastal San Diego, in the city of Solana Beach. We work with a number of people long-distance. Blankinship & Foster is an independent, Fee-Only wealth management firm in San Diego. We are fiduciaries, committed to act in our clients’ best interest. Our thoughtful and experienced team of advisors help you make smart decisions across a broad spectrum of matters. We’ve been helping physicians successfully transition into retirement and navigate life events for over 30 years. We do comprehensive financial planning coordinated with investment management. We help simplify your finances, so you can make important decisions with clarity. Our “high-touch” team approach ensures we are always responsive, proactive and knowledgeable about YOU. Our investment management fees are NOT based on a percentage of your investment assets. 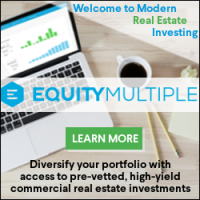 All of our clients pay us the same low-cost and transparent fixed flat fee for our services regardless of the size of your investment portfolio. Our annual fixed flat fee is $2,500. The fee is paid quarterly in the amount of $625/quarter. We believe that the investment advice and guidance that most physicians receive is typically not in their best interests and is often plagued with high cost investment products that don’t match their financial and investment goals. At Firstmetric we are the complete opposite. We are a fiduciary, which means we act in your best interests with our time-tested and disciplined investment philosophy using index funds, low-cost advisor fees and personalized investment strategies and advice tailored to fit your personal situation. If you’re not happy, we’re are not happy. If, for any reason, you’re not completely satisfied with your relationship with Firstmetric, we will work with you to make things right and get you back to 100% happiness, up to, and including waiving your management fees for the next 90 days. Click here to let us prepare an investment plan for you at no cost or obligation. All clients receive comprehensive wealth management, which includes investment management, financial planning, and advanced planning strategies. Our advanced planning strategies help clients mitigate their tax burden, protect their assets, build their legacy, and support their community through philanthropy. Located in Memphis, Tennessee. Serving clients all across the US. Office in Memphis, TN but serving clients virtually across the country. Tripp Yates, CPA/PFS, CFP® is the founder of Eaglestrong Financial. With over 10 years of experience in financial planning and investment management, Tripp wants to help you organize your finances, reduce taxes, and invest wisely. Eaglestrong Financial is a fee-only fiduciary financial planning firm. Our investment philosophy is based on diversification, utilizing low-cost investments and prioritizing tax efficiency. We believe in evidence-based investing (primarily DFA Funds) from years of academic research. You have your own passions and dreams. Share them with us, and we’ll create a path to help you reach them. Schedule a free consultation here. Headquartered in Eugene, OR and serving physicians nationwide virtually. Physician Family Financial Advisors helps doctors with children save taxes while investing for retirement, saving for college and obliterating student loans. As financial advisors go, Ben Utley is the real deal with 20 years of experience, now serving more than 70 physicians in 14 states virtually from their headquarters in Eugene, Oregon. I like the fact that they handle everything from student loans to retirement to tax advice to investing for a flat fee. 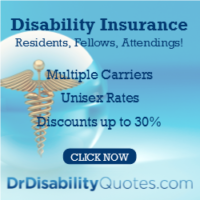 Schedule a free consultation at PhysicianFamily.com. I also serve clients nationwide virtually. Fisher Financial Strategies has been providing comprehensive fee-only investment advice and financial planning services to its clients since 2006. Our hourly, fee-only service model makes it possible to tailor our services to a variety of needs, from advice on appropriate 401(k) allocations to the development of an integrated financial plan including family goals and retirement planning. Thomas Fisher, CFP® professional, has been quoted by U.S. News and World Report, the New York Times, BBC, the Wall Street Journal, and the Christian Science Monitor, among other publications. Scottsdale, AZ and working with clients across the nation. Clint Gossage CFA, CFP®, CPA, has been married to a Surgical Oncologist for the past 15 years and has experienced first-hand the ups and downs on the journey from undergrad to becoming an attending. After helping friends in medical school, residency and fellowship with their finances, he left a high-paying job, managing the investments at a multi-billion dollar family office, to start CMG Financial Consulting. 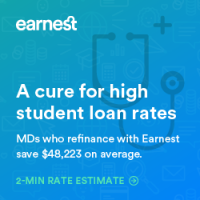 He has been helping physicians and medical professionals ever since to get out of student loan debt, save money, invest in tax efficient strategies, manage and protect their assets and give them back their most scarce resource…time. One-time planning – $150/hr, fee quote in advance of project, $1000 minimum. Switchpoint Financial Planning, LLC was designed to be different than traditional advisory firms. By charging a flat fee, rather than commissions or AUM fees, founder James Sweeney CFA, CFP®, sits on the same side of the table as his clients and can focus on what really matters – like maintaining investment discipline, minimizing fees and taxes, and maximizing cash flow. Switchpoint provides both financial planning and investment advice in a holistic manner to motivated professionals who have achieved or who seek financial independence. Preeti Shah CPA, CFP® (Enlight Financial LLC), operates as a sole proprietorship, with only a limited number of clients added each year. All clients have her personal cell number and can call 24/7 in case of emergencies. Clients can also connect as often as needed, and the planning process encompasses everything from investments, insurance, estate, tax, and education planning, to creating business plans, applying for loans — even tracking credit card points. Besides personalized and comprehensive service, Preeti also emphasizes educational and transparent financial planning where she teaches clients what she does so they can participate in the planning process. Virginia but will work with people in all 50 states. Physicians Capital Management, LLC, is run by a nephrologist and successful individual investor turned adviser, Randy Gertner, MD. Dr. Gertner charges an hourly consult fee of $400 per hour to set up a portfolio of index funds for your investments. The initial consultation call is billed at $400 per hour as well. He is a passionate Boglehead, espousing the all-important principles of extreme low cost, extreme diversification, tax efficiency, and low turnover. Comprehensive advice concerning all aspects of your financial life are approached in an evidence-based manner. Dr. Gertner can be reached at 540-604-6301 or by email at [email protected]. Integrity Wealth Solutions charges clients with asset under management of $500,000 or more, a flat quarterly fee for investment management. This flat fee also includes active comprehensive financial planning on an on-going basis. We will accept asset management relationships under $500,000 in billable assets. For accounts that are within this range there is an annual fee of 1% charged quarterly determined based on the value of the assets at the end of each calendar quarter. For relationships under $500,000, financial planning services may be billed separately on a per-project basis. For clients not engaging us for investment management, may decide to work with us for a financial plan only. A one-time financial plan fee ranges between $1,000 – $5,000, depending on complexity. Available Virtually: Anywhere in the United States. Integrity Wealth Solutions is a tiered flat-fee financial planning and investment management firm focused on helping physicians, dentists, individuals and small business owners in a transparent and equitable manner. We adhere to low-cost, tax-efficient portfolios based on the client’s comprehensive financial planning goals. We have helped numerous physicians in all stages of life and developed a Financial Action Plan that helps physicians get started on the right foot. 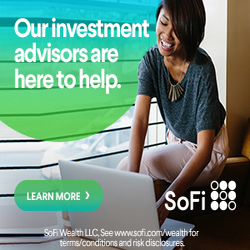 SoFi Wealth Management is basically a roboadvisor with a financial planner available by phone. 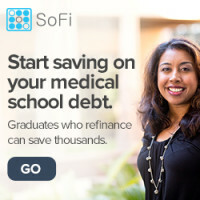 Sofi is located in California but of course SoFi Wealth Management is available nationwide. Like most roboadvisors, SoFi Wealth Management collects some information from you, and then invests your money in a broadly diversified collection of low-cost, passively-managed ETFs which it then automatically rebalances (typically monthly but at least quarterly) going forward. So you’re going to end up with a reasonable portfolio that is managed in a reasonable way. Unless you are a diehard do-it-yourselfer, the asset management function is going to be just fine. You can make an appointment online or by phone to talk to the financial planner at your convenience. My review of Sofi Wealth Management can be found here.